South Korea's anti-trust regulators on Jan. 21 imposed a fine of 4.1 billion won (US$4.38 million) on Doosan Industrial Development Co. for having unfairly supported its' affiliate units, Yonhap News reported. The Fair Trade Commission (FTC) ruled that the builder had unfairly paid 13.9 billion won in interests on bank loans Vice Chairman Park Jeong-won and his family members took between 2000-2005 to increase their capital in the company. The company is a unit of family-run conglomerate Doosan Group, which is undertaking desalination plant construction projects in the Middle East countries including the United Arab Emirates (UAE). Doosan Industrial was also found to have illegally supported its merger and acquisition of sister firm Neoplux by purchasing 6 billion won worth of corporate bills from the company in 2003 at a discount rate lower than the allowed rate at that time, the commission said in a statement. 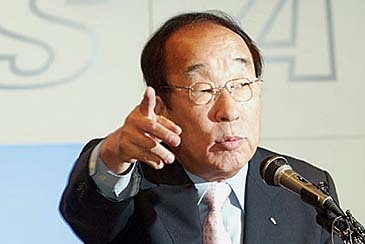 Doosan was engulfed in a family feud two years ago when Park Yong-sung, the group's former chairman, and his brother, Park Yong-O, received jail sentences on conviction of creating slush funds and committing accounting fraud.